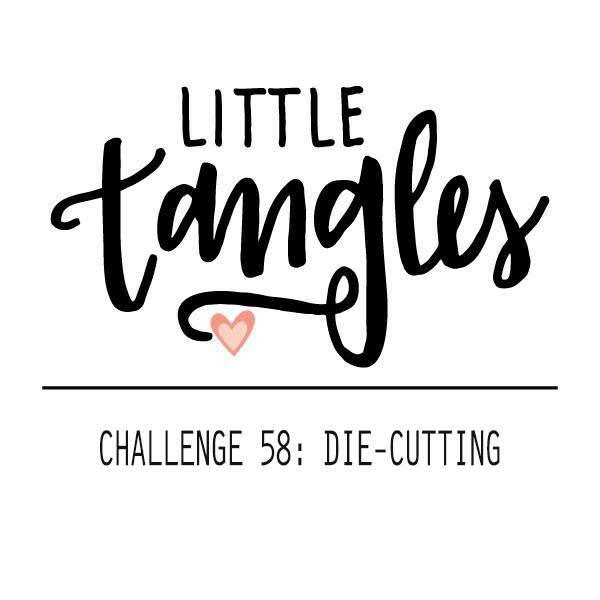 Hello, your going to love the latest Little Tangles Challenge, it's Die-Cutting! I used the Tiny Triangles die to cut out my panel which I then coloured with distress ink. I added a splash of water at the end and I love how it turned out! I added the die cut word and heart and that was about it finished. 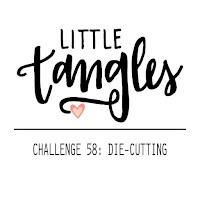 If you love die-cutting as much as me then make sure you play along, you can link up here. Don't forget there is a Neat and Tangled stamp set to be won! Fantastic bold and graphic card! Love this! 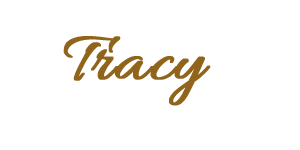 Bright and fun Tracy, just terrific! Wow such a beauty. I love the bright colors. 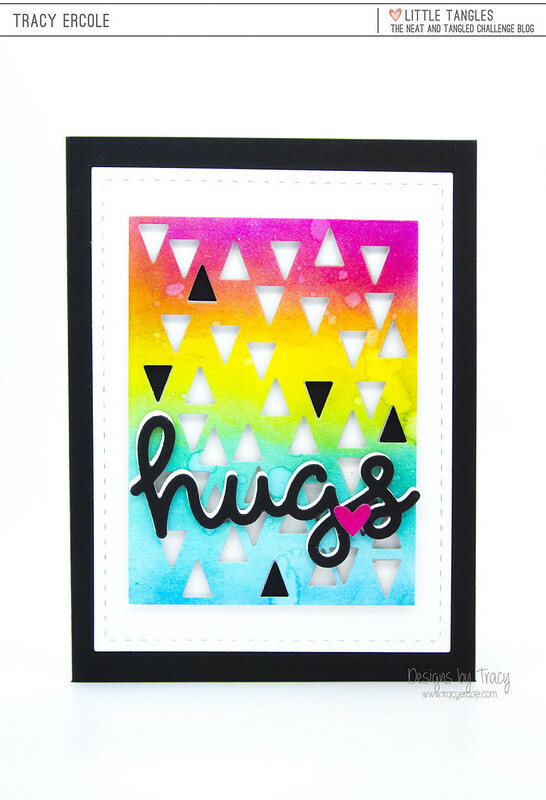 Swooning over those colors - great card!